There is not much to be said about the first impressions on Content Development Pros apart from the fact that I am not quite impressed. The site sports that somewhat dated-looking design particular of dead businesses, complete with graphics that look taken straight out of 2005. However, functionality-wise, it could hardly be better. All the important information related to their services is displayed openly on the home page, and each specific service has a clearly visible tab on top of the page. Additionally, the site also has a live chat, which is always a good sign that a company values communication with their clients. The ordering process is quite simple. 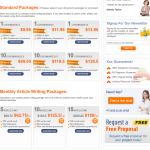 After selecting the type of content you need at the top of the page, you are taken to an ordering page which clearly shows all of the package deals available for that specific type of content. These are further separated into one-time deliveries and monthly packages. 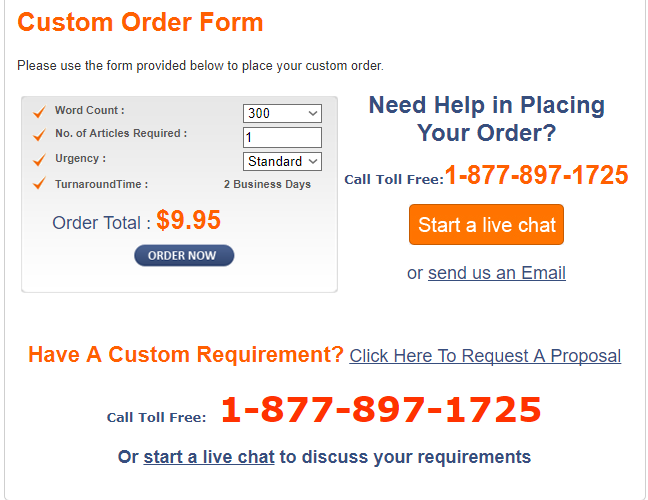 On top of those pre-made packages, a custom order option is available at the bottom of the page. 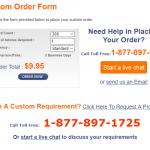 This custom order option leaves a few things to be desired, mainly due to a lack of customization options. The word count is selected through a drop-down menu and four predetermined options set by the company. Apart from that, the only thing that can be specified is the number of articles and, potentially, an ‘urgent’ delivery time of one day, as compared to the default two-three days. 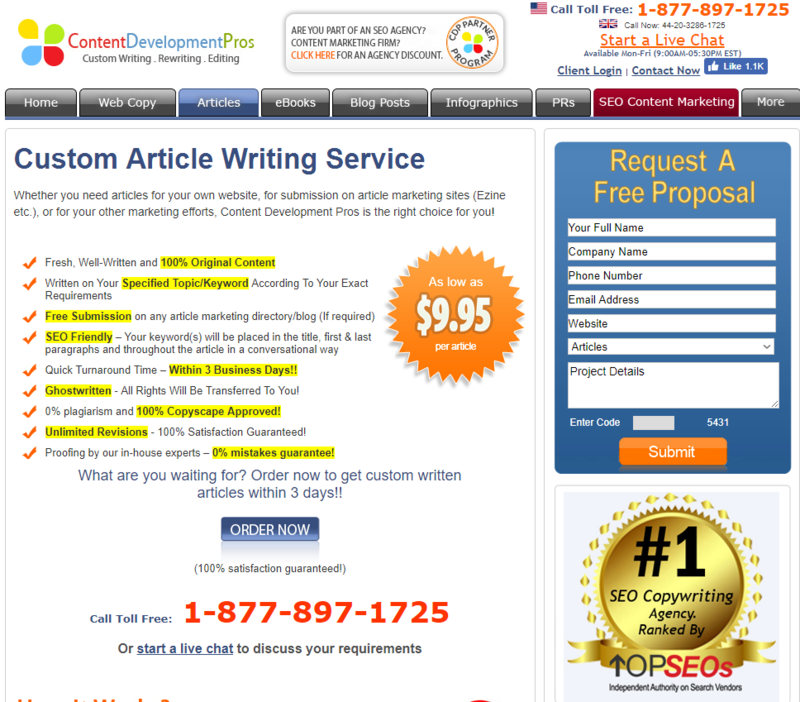 Content Development Pros was tasked with delivering a similar article which we usually order from the services we review – a 1000-word article in the niche of content writing. Seeing as this is a task any experienced content writer could accomplish with little research, I was quite eager to see if CDP would come through on their promise of a 2-day delivery time. The price of this order amounted to $27.95, which is not much for a 1000-word article, especially with such short delivery time. 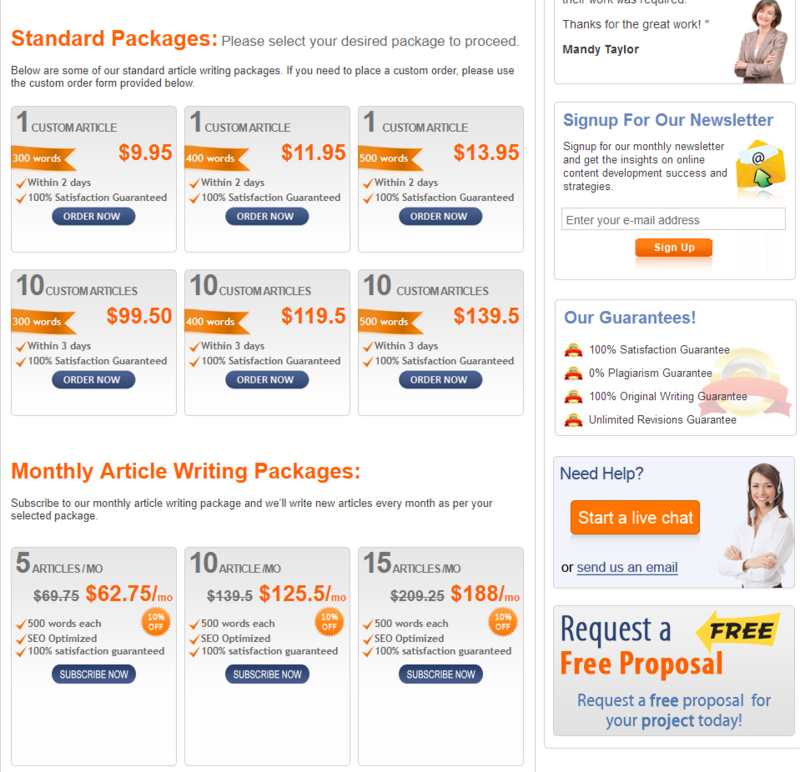 With a price notably lower than what you get at the more reputable content providers such as TextMaster or WriterAccess, my expectations for the content we’d receive wasn’t exactly sky-high. This lower price tag suggested that the writers were almost definitely not native speakers, which obviously increases the chance that the content would be of lower quality. Still, I did not expect it to be amazing or to sound entirely native, but that it shouldn’t require too much editing in that regard. 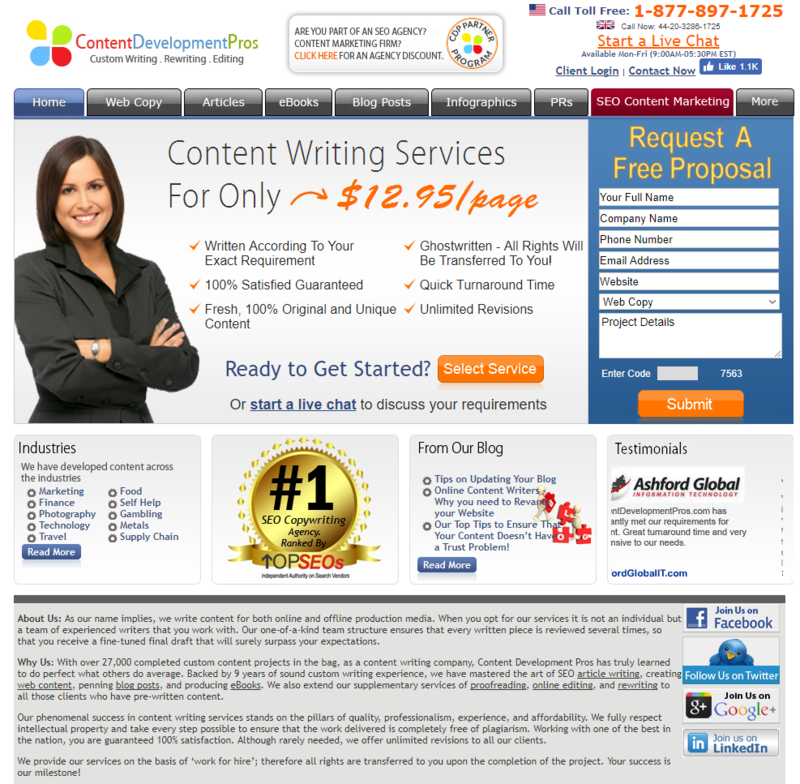 Additionally, Content Development Pros guarantees that all their articles are 100% error-free, so that raised the bar I had initially set. Initially it seemed that CDP was 2 days late with their delivery. However, upon contacting their live chat (which proved to be immensely responsive and helpful), it turned out that we overlooked the delivery by mistake, and it had actually been delivered on time. As we requested, the article had plenty of titles and subtitles, along with bullet points, and even including an image at the beginning. However, the task was to describe Constant Content and provide examples of several similar services and justify the similarities, which was not done. We then requested a revision, which was delivered the next day. It did, however, give off an impression of being done very hastily, and it supplied primarily generic statements with very little useful information. Repetitive – the word ‘content’ was used three times in the second sentence and several dozen times in the article itself. The phrase ‘fresh content’ is used in both sentences, which are only a short paragraph apart. Stretched out – not only is the vocabulary not varied, but they are saying very simple things in many more words than needed. For example, the first sentence could be phrased as “Keeping a website regularly updated with fresh content can be quite challenging”. It not only sounds more organic and easier to read, but is also 6 words shorter. Granted, this might not seem like a big difference, but if this trend were to continue in the entire 1000 word article (which it does), the number of needless words gets quite high. All in all, it wasn’t too difficult to rewrite, but the above mentioned points speak volumes on the original quality of the article. When considering the overall text, the writing doesn’t quite flow. This is either due to a simple lack of connecting words or the fact that a paragraph or a sentence is not conclusive enough in its statement, resulting in very awkward transitions. And as I already mentioned above, repetitiveness and word count stretching are an issue throughout the article. Ultimately, after I rephrased and rewrote the article, I cut the word count down to 896 from the original 1086. But it’s not all that bad! The organization and research are actually done quite well. Everything is neatly organized across numerous titles and bullet points, as per our instructions. And even though one of our requirements were overlooked, it was quickly corrected, and the rest of the article does a good job of presenting all the key information, even though it could have been done in a more eloquent manner. 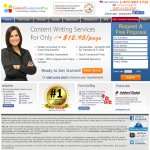 Content Development Pros doesn’t offer the highest quality writing writing, the best research, nor the lowest prices, but it manages to find that sweet spot of balancing cost and quality. The fact that it employs only in-house writers helps ensure that you get good customer support, which we have personally tested. They respect deadlines and have a very reliable 24/7 live chat. As long as you don’t mind the non-native sounding constructions, don’t prioritize eloquence or don’t require high quality overall, Content Development Pros is a company which I can wholeheartedly recommend for everyone working on a budget.